There has been an influx of Frozen themed orders ever since the animated Disney movie hit the stands. This was my first Frozen themed order and I'm thankful that the customer only asked for little munchies instead of a huge cake because I haven't had the time to draft up something over the top. Nonetheless, I had fun making these. 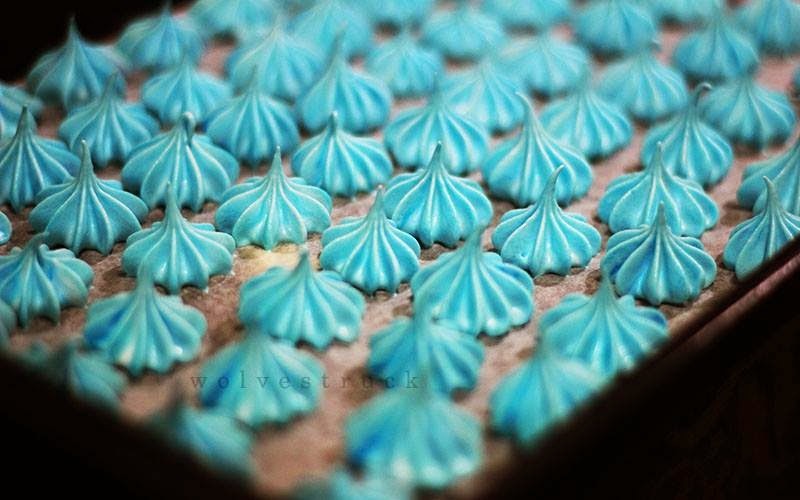 Nothing like a bunch of meringues to give the snowflakes vibe! I failed so many times before getting it right, hehe.